It is the 5th of December meaning there is only 20 days until Christmas! I can't believe how fast the past five days have gone already. In no time it'll be a day until Christmas and Blogmas will be over! 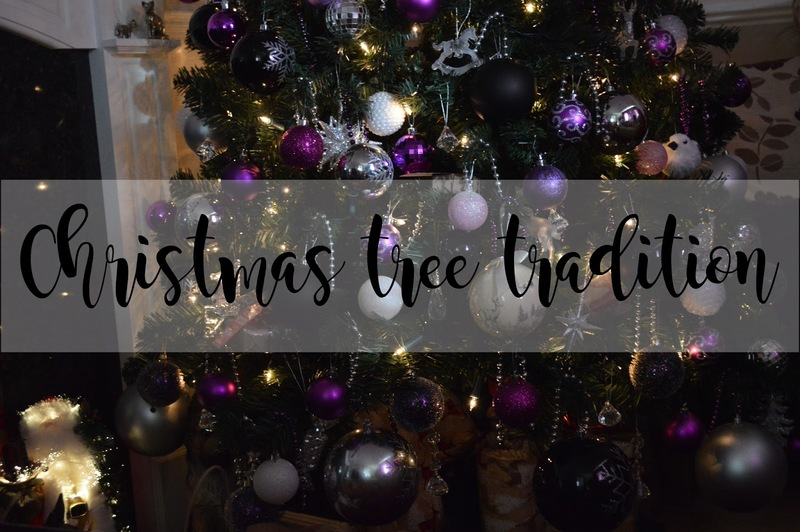 Today I am sharing with you my Christmas tree tradition. I say "my" it's not mine, it's technically my Granddad's. I've always been so excited for Decemeber to come around because I know what ever day it falls on, it won't be long until the day we get the Christmas decorations out of the loft ready to put the Christmas tree up the next day. Yesterday was the day I put my Christmas tree up and having a brand new Christmas tree made the whole experience so much more exciting! My Mum says there wasn't a real reason why the Christmas tree always went up on the first Sunday of December, but this would always be the first day which my Granddad had off (as he had every Sunday off work) so she'd come home to the Christmas tree already up covered in decorations and it's a tradition she carried through to her family too. The real reason why I love this tradition is because Sunday is usually a day for spending time with family and basically having a lazy day catching up with the people you love the most. This is literally the best way to spend the first Sunday of December. Putting up a Christmas tree with your loved ones in your pyjamas! It couldn't be more perfect and this is how my day was spent yesterday; as well as listening to Christmas songs and wrapping everyone's presents to put underneath the Christmas tree. Our Christmas tree this year changed to purple, black, silver and white balls instead of blue and to be honest, I'm loving it so much more than last year. I'm not sure what it is about Christmas tree's but purple looks absolutely incredible on them. I can imagine it would look gorgeous with brown and bronze shade decorations too! As always I have my little helper to pick up any decorations which I drop! I'm not joking either! Do you have a Christmas tradition? Let me know!